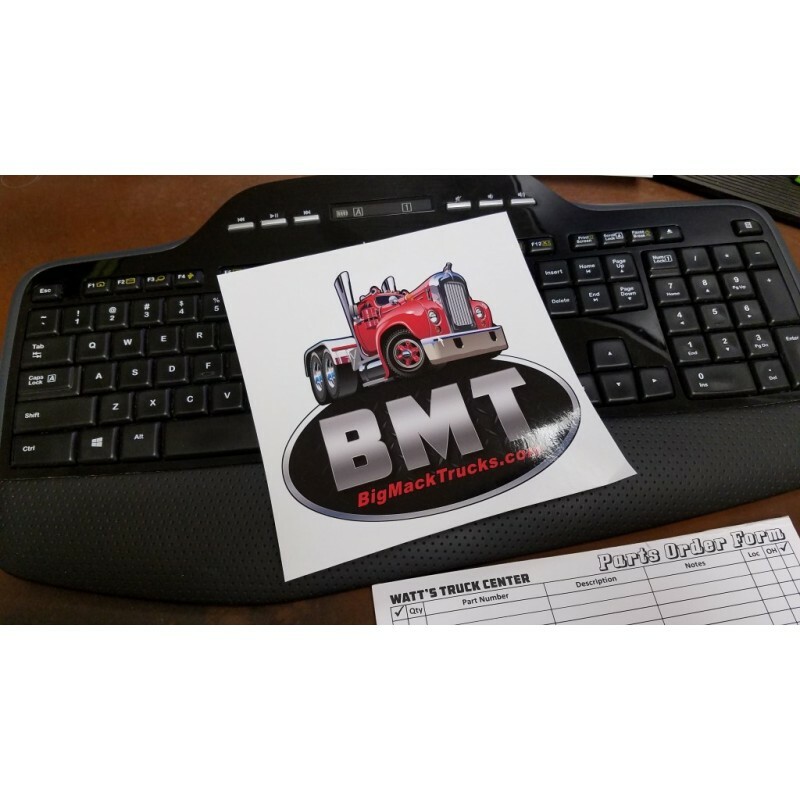 Full color, die cut & laminated decal featuring the BigMackTrucks.com BMT logo! Outdoor deacal is suitable for mounting on glass, metal or fiberglass. Great for wing vents or rear windows!